DIE was founded during spring 2005 by the members Bent and Tajs. They had long been playing around with the thought of making a death metal band, and at this point it seemed appropriate to do so. Simon from Fairytale Abuse was a close friend of the band, so he quickly became involved with this new project. Simon has a way with growls and screams which suits DIE very well. And combined with Tajs' expert guitar sawing and Bent's drum beating sprees you have an old-school, yet inventive band which draws its influences from both the technical masterpieces of our brother country Sweden and the old-school American death metal sound. A home-produced demo track called Life Eraser was recorded during April 2005. This was the very first song to be concieved from DIE. The band decided that a 3-track demo should be recorded as soon as new compositions fell in place. Soon hereafter Rasmus joined the band on guitar and Jonas joined in on bass. With the band now consisting of 5 members, they decided to record the demo Relentless Pain holding the songs Bone Crusher, Relentless Pain and Life Eraser(re-recorded solo version). The final demo was printed and released to the public during autumn of 2005. It was well recieved by critics. 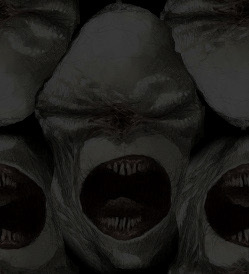 After releasing the Relentless Pain demo, throughout 2006 the band focused all their energy on developing their new style, going in a much more brutal and technical direction. The compositions follows the same musical principles, but adds a lot of technical creativity and speed. 2006 was also the year, when DIE performed their first live gig at Musikcaféen in Aarhus. This marked an important time in DIE's history, as they proved that they can actually perform their songs live. Soon followed a concert arranged at the biggest danish metal festival Aalborg Metal Festival, and soon after that a concert at Fabriken in Aarhus. In January 2007 the band released another single containing the song Mors et Sanguis. They decided to record this one-track demo to demonstrate the current style of the band. A style which will be demonstrated to its full potential on the planned debut full-length. Around August 2007 DIE entered the studio to begin recording its debut album entitled Rise of the Rotten. The album has a release date of "When it's done", and promises to deliver some of the most brutal danish death metal to date. In the beginning of 2008 longtime member Simon decided to leave DIE to focus on his other band Fairytale Abuse and his family. Simon has helped shape the sound of DIE since the very beginning of the bands’ history, so it was sad to see him go. He left on good terms and is still a very good friend of the band. 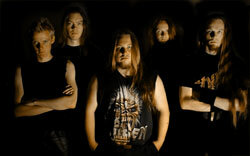 Soon hereafter the band began searching for a suitable replacement for Simon which was found in Søren Christensen who joined the band in may 2008. His growl is quite different compared to Simon’s, but there is no doubt that he fits the band perfectly. Søren recorded the vocals for the Rise of the Rotten album in december 2008. This concluded the recordings needed for the Rise of the Rotten album. It was then handed over to world renowned studio engineer Tue Madsen at Antfarm Studios. Tue mixed and mastered the album during february of 2009. The album was now ready for release and in august of 2009 the band began their search for a suitable record label. 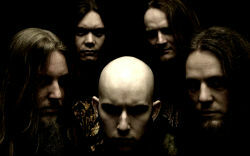 A record deal was landed in the beginning of 2010 with the elite death metal label Unique Leader Records. The Rise of the Rotten debut album was released on March 16th 2010. Cover illustrations was done by illustrator Tony Sandoval and the cover layout was done by Lars Bisballe (Muldjord, Sepulchrum). Explicit permission to use this text for any press related activity is hereby granted to anyone interested. This includes the use of the biography on third party internet sites. If in doubt, feel free to contact info@executionroom.com.